All one has to do is turn on the television to see that many countries are being affected by severe weather conditions. It’s a scary thought, but weather analysts predict more intense weather systems in the near future. Government officials have released several bulletins advising people on the proper procedures during various types of disasters. Nevertheless, the burden, as it were, is also placed on real estate professionals. Now, more than ever, is there a need to build better-constructed homes – those that can withstand strong weather conditions. It must be noted that there is no construction plan that can make a home or a building completely weather-proof. Construction foremen are practical enough to admit that Mother Nature holds a far more powerful source of energy than human capacity. Still, there are several new technologies that provide an interesting solution to this growing problem. Architecture and innovation play a major role. Design experts have seen that certain slopes or shapes are better-equipped to handle certain weather conditions. A recent study found that learning from our ancestors is actually an ideal way to look for designs. For example, a team of scientists had designed a hardy all-weather-enduring tent to be used in the harsher desert climates. The tent functioned well in the lab tests and the developers were ecstatic by the results. However, when they tested the prototype, they found the concept of a tent insufficient. Their prototype kept on flying off or being ungrounded. Eventually they took to using the tents used by the Native Americans. Despite it seeming “unsophisticated” in terms of design, it worked. Designers learned from their mistakes and incorporated these in their new designs. This has led to several new promising designs, which are still being tested. Experts believe that each state or country would have to develop their own designs, since each area experiences unique weather systems. Hi! I am Thomas Faw and I am a professional in the real estate and construction industry. Learn more insights by following me on Twitter. Old homes carry their own charm. It is true that most people these days prefer something more modern and new. There is logic in this: newer homes are built from sturdier materials, and the chances of repair or maintenance is still in the distant future. Homeowners may be hesitant to buy an older property for fear that over and on top of the initial deposit, they would have to spend more on care. Those involved in the real estate industry will refer to these characteristics as “charming” but old house maintenance is no laughing matter. Still, there is one simple way to effectively maintain an old home. 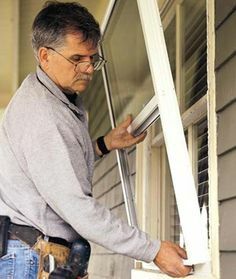 Regular check-ups are a must for those who want to keep their old home well-maintained. The process is easier than you’d expect. Before the purchase, it is important that you ask the realtor for any special maintenance that the property may require. And good real estate agents will refer to specific areas that may need special care. Typically these involve plumbing or heating issues. This knowledge will limit the areas that you would need to look out for on a bi-annual basis. This does not mean that you should neglect the other areas of the home; merely that the challenge areas should be regularly monitored. These areas can be maintained with DIY projects that may be found in other resource materials online. 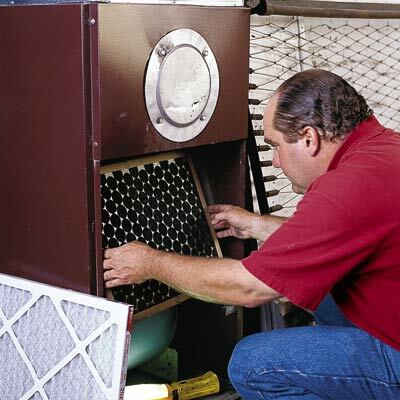 You may also wish to consider the assistance of a licensed HVAC contractor. While this may seem like common knowledge, many homeowners forget to follow it. All homes do need to be well-taken care of, but older homes generally require more frequent visits. Hi! I am Thomas Robert Faw, a real estate developer based in North Carolina. Part of my job is advising people not only on what house suits their needs but how they can maintain it for generations. Learn more simple tricks on Facebook. 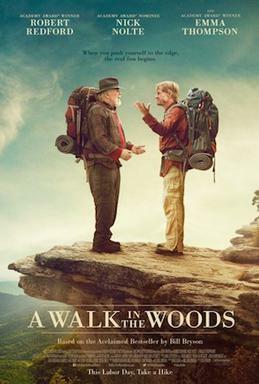 “A Walk in the Woods,” a comedy-adventure biopic film starring Robert Redford and Nick Nolte, will have its wide release on September 2nd and it is expected to be a box-office hit following the positive reviews the movie received from professional critics during its Sundance screening early this year. I am personally very excited to watch this film as it is primarily set in the wondrous Appalachian region, my favorite hiking Mecca amongst all the trails I’ve traversed, so far. The film is based on the travel book by Bill Bryson. The book’s release in 1998 catapulted a sudden surge in hiking activity in the Great Smoky Mountains, which is a major mountain system—and perhaps the most popular—in the Appalachian region. Naturally, the influx would become even more massive when the film version is released as movies typically reach broader audiences than a book usually can. For most people, this could be a huge boon as far as the tourism industry in the states where these mountains are found is concerned. Responsible hiking, however, must be soundly followed to reduce strain in the fragile environment. All the land managers with responsibility for The Appalachian Trail (including the National Park Service, the U.S. Forest Service and some state parks) are now working closely with The Appalachian Trail Conservancy (ATC) on how best to prepare for an increase in use of the spectacular trail. For more interesting links to and discussions about hiking, follow me on Twitter. Thomas Robert Faw here. Buying a home is a major part of the American Dream. North Carolina is a great place for families and retirees to make that home purchase: The state has a median home value of $146,500, much less than the national average of $178,400, a low cost of living, and competitive median salary, especially for people working in information technology. In addition, there are plenty of historical sites to visit and leisure activities in which to take part. The North Carolina Housing Finance Agency’s (NCHFA) “Home Advantage Mortgage” program offers competitive financing options and down payment assistance to qualified home buyers. Eligible taxpayers could also apply for a Mortgage Credit Certificate (MCC), which allows them to take a tax credit of up to $2,000 for every year they live in their homes. The NCHFA recommends that home buyers deal with real estate professionals who have taken the “Financing Dreams” class and can demonstrate in-depth knowledge of the state’s housing programs. While North Carolina’s climate varies from the Atlantic Coast to the Appalachian mountains, the weather is generally warm year-round. Since the state is shielded by the Appalachian mountains, cold winds from the Gulf of Mexico and Canada rarely make it through. The states sees, on average, 213 sunny days, 45 inches of rain, and 5 inches of snow per year. However, North Carolina is on the Atlantic coast and sees its fair share of hurricanes. The state experiences the most number of tornadoes in the spring. Buyers in North Carolina should inspect homes for features that make them more resistant to hurricanes and tornadoes. The NCHFA provides counseling services to educate homeowners about the dangers of predatory lending. Purchasing a home in North Carolina is a major life decision. Home buyers should learn as much as they can about the state before moving in and consult a qualified real estate professional licensed to practice in the area to avoid problems down the road. Thomas Robert Faw is a real estate professional. 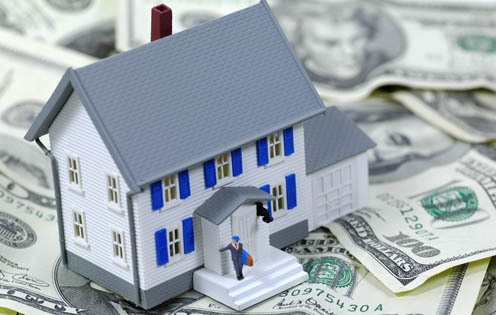 Like this Facebook page for more discussions on purchasing a home in North Carolina. So, you want to be in real estate? Every year, the real estate industry attracts young men and women who dream of making it big. I really can’t blame them. With the slew of reality TV programs showcasing the glamorous life of attractive and young power brokers, who really wouldn’t be enticed to join their ranks, right? Add to that a recovering economy that is boosting people’s confidence in investing in multiple properties. Thus, from an outsider’s point of view, the real estate sector offers a multitude of opportunities to become ultra-successful even at a young age. Well, I suppose there’s truth in that. BUT there is more to working in real estate than making million-dollar deals. Just like any other industry, the real estate sector demands passion from those who want to succeed. One doesn’t get to enjoy the grand life if one is not willing to work hard for it, be it as an agent, a property manager, a land developer, or an urban planner. The real estate industry rewards those who are willing to get their hands dirty, who create opportunities to expand their network, who chase clients day in and day out, who work tirelessly to complete projects. If you want to be successful in the industry, you have to start small and work your way into the big leagues. So I apologize if I’m going to burst your bubble, but working in real estate will not get you to drive a fancy car or wear the hottest fashion trend or frolic in Cabo every other weekend immediately. 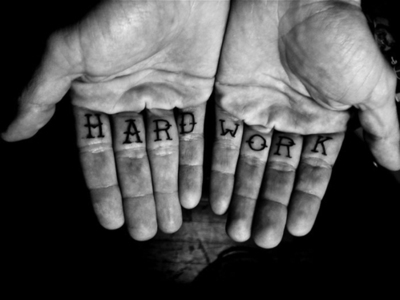 But I’m sure you’ll get to do those things – only if you work hard enough. I have been working in the real estate industry as a developer for years now but still I have a long way to go before I can say, “Thomas Robert Faw, you did excellently.” And that is what drives me to continue doing my best every day. Are you in real estate, too? If you have a great tip for our new recruits, you can drop me a note on Facebook. According to this The Seattle Times article, the reopening of the flood-damaged road restores access to 120 miles of hiking routes. DARRINGTON — After more than a decade of flood-damage closure, the scenic, fir-shaded Suiattle River Road is open again, restoring access for this summer to a 120-mile trail network in and around Mount Baker-Snoqualmie National Forest. The whole area looks like it got a few teeth knocked out. Mother Nature swept through and washed out the road in 2003 and again in 2006, denying hikers access to the Suiattle (“soo-AT-tl”) River Valley. 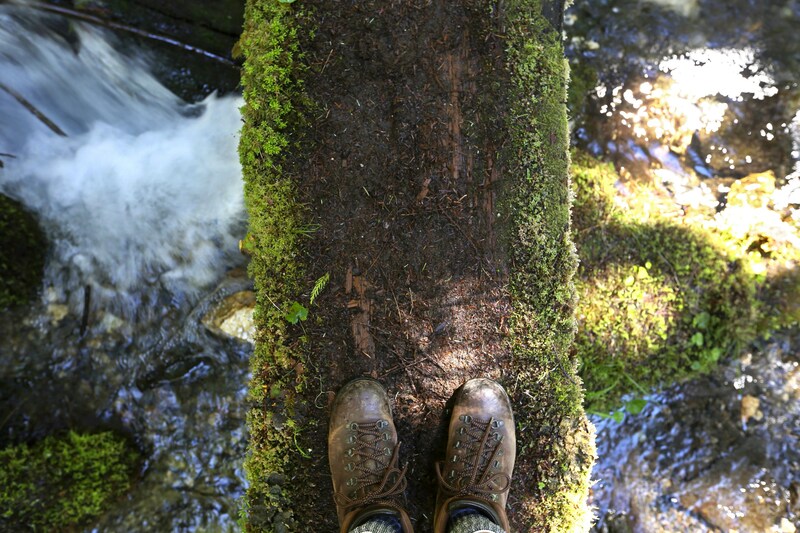 But just in time for the hiking season, the Forest Service says the valley’s long-unused and overgrown trails — including the popular Green Mountain, Suiattle River and Downey Creek trails — have been cleared enough for even novice hikers. The trail network east of Darrington includes access to Glacier Peak Wilderness and the Pacific Crest Trail. The reopening is expected to alleviate crowding on other nearby trail systems. Cleanup crews have been frantically working on the trails since the Suiattle River Road reopened last October. Much work remains. Volunteers from Washington Trails Association and other groups will work throughout the summer to clear the overgrowth of ferns and salmonberries that had overtaken popular routes. Also high on the cleanup list is clearing remaining downed trees to make it easier for horse riders as well as hikers. The Forest Service says the Buck Creek campground will be ready for summer getaways by the end of June, but the Sulphur Creek campground won’t reopen until summer 2016. • Suiattle River Trail, about 6.5 miles one way, 900-foot elevation gain. Part of the trail had to be reconstructed. This is the longest family-friendly hike in the valley. Plus it’s connected to the Pacific Crest Trail, a topic of fascination since Cheryl Strayed’s hiking memoir, “Wild,” which became a film. I counted a couple of dozen downed trees over the dirt path this spring, including a couple of giant firs that a child might need a boost to get over in the first two miles. Other fallen trees can be easily ducked under or walked around. Horses would have difficulty in the first 2.5 miles, though dogs would have no trouble getting by. The Forest Service hopes to clear all the downed trees on this trail by the end of June. The first mile remains in the shade, under a lush landscape of Western hemlocks, Douglas firs and old-growth, with here-and-there views of Glacier Peak and Grassy Point. After a mile, the forest thins to give a look at more of the valley and a peek down at the river. You might get your feet wet. About a mile in are about a dozen small waterfalls and water crossings, all shallow. I easily found rocks and logs on which to hop. Rangers report that by July most of those water crossings will dry out. It’s a tranquil hike. The roar of the river was the only soundtrack, replaced by chirping birds and breeze in the evergreens once the trail snaked deep into the forest. Crowds are more likely to be found on the area’s more-popular Green Mountain Trail. For most hikers on this river trail, a rebuilt cedar suspension bridge, about 6.5 miles in, is the finish line. Most will lunch or snap pictures on the bridge and then turn back. Backpackers pitch their tents here (there’s a toilet and campsites down by the water) or continue on to Miner Creek Trail or the Pacific Crest Trail. Many downed trees remain on the Pacific Crest Trail. The largest will be cleared, though local rangers doubt available work crews will allow for clearing every obstacle. • Sulphur Creek Trail, 1.8 miles one way, easy, 540-foot elevation gain. Starting near the Suiattle River Trail parking area, the winding trail passes old-growth trees and waterfalls. • Sulphur Mountain Trail, 5 miles one way, difficult, 4,200-foot elevation gain. Just off the Suiattle River Trail trailhead, it’s a steep climb — the toughest hike in the area — but you’ll be rewarded with views of Glacier Peak. • Miners Ridge Trail, about 10 miles one way, difficult, 2,600-foot elevation gain. The trail offers views of Glacier Peak, Plummer Mountain, North Star and Fortress Mountain. Mid-July through August, expect great wildflowers. The fire lookout is closed. • Milk Creek Trail. The trail’s bridge over the Suiattle River is out. Rangers suggest you don’t try to cross the river. It’s unclear when work crews will get to this maintenance project. • Green Mountain Trail, 4 miles one way, moderate to difficult, 3,000-foot elevation gain. Arguably the most popular Suiattle destination, the trail passes through old-growth forest and subalpine terrain during the first mile before opening up to breathtaking wildflower meadows in season. Bring your camera. It’s not a hard hike at first, but the last 1.5 miles is tough, gaining 1,500 feet to the fire lookout. On a clear day, you’re rewarded with a view of Mount Baker, Glacier Peak and Puget Sound. The Darrington Ranger District anoints it as one of the loveliest trails with views of the North Cascades. In a mild winter, such as this past February, you can backcountry ski here. • Downey Creek Trail, 6.6 miles one way, easy, 1,000-foot elevation gain. It’s a popular mountain-climbing area. Rangers warn of steep creek crossings along with many springs feeding the creek. Many areas will dry out by early summer. A lot of downed trees but the trail is passable. Work crews are scheduled here through the summer. • Huckleberry Mountain Trail, 7 miles one way, difficult, almost 5,000-foot elevation gain. A parking lot and a quarter mile of trail were reconstructed. Look for the sign to the new trailhead. The trail zigzags up. Other than a few waterfalls, you don’t get a great view until you’ve reached the top. Oh, but what a view on a clear day: Glacier Peak, Mount Baker, Whitehorse, Three Fingers and Mount Pugh. Pick up a detailed map at the Darrington Ranger Station, 1405 Emens Ave. N. in Darrington. Then drive north 7 miles on Highway 530 toward Rockport, cross the Sauk River bridge and turn right onto Suiattle River Road (Forest Service Road 26). Continue about 22 miles to trailheads at the road’s end. The first 10 miles of Suiattle River Road is paved. The last 12 miles is gravel with many potholes; go slowly. • No recreation pass is required at this writing, but that may change in the near future; check the website or inquire at the ranger station: 360-436-1155. Like this Thomas Faw Facebook page for more diet advice and other hiking tips. There are various resources available for people who want to get fit. Newfangled exercise machines and a strict diet regimen can all help your weight loss effort. However, if you don’t want to spend so much money on gym memberships or personal trainers, going back to the basics is still effective against unwanted pounds. For an all-in-one fitness workout, it’s a good idea to go hiking. Hiking involves a lot of walking and this has positive effects on your lungs, heart and blood vessels. Cardio-respiratory fitness lowers the risk of illnesses such as coronary heart disease, stroke and high blood pressure. Hiking tones every part of your body. The steep inclines and rough terrain give you a full body workout because they take a lot of effort from the lower half of your body. Hiking builds strength in your glutes, quadriceps, and hamstrings. The average hike can burn up to 250 calories in an hour. Regular hikes are better than low calorie diets in maintaining your current weight. According to a study published in Environmental Science and Technology, outdoor exercises such as hiking increase feelings of relaxation and decrease stress and tension in the body. Hiking is perfect for people who work in the office as it provides a change of pace and scenery. Follow this Thomas Faw Twitter account to find more reasons to start hiking.